All Generations provides safe, reliable, comfortable transportation at affordable rates. Discover why our family owned transport service is your best choice for comfort. We have an in depth understanding of transferring and communicating with individuals who have diverse medical concerns. Trust All Generations with your transportation needs. 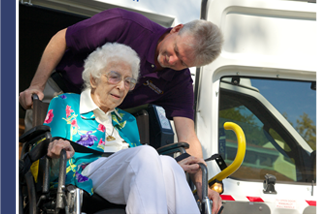 All Generations Transport Services is a locally owned and family run transportation business founded by Russell and Ann Betz, Registered Nurses with 40 years combined experience in critical care, community home health and hospital ambulance transportation. Both Russ and Ann have an in depth understanding of transferring and communicating with individuals who have diverse medical concerns. 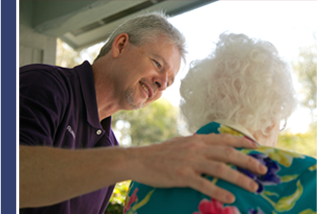 • Our service is designed around the needs of the patient. • Our vehicles are modern, safe, comfortable and dependable. • Our vehicles have the most up to date safety features. • Our personnel are highly qualified to meet all the needs of our clients. • Our staff understands the significance of patient confidentiality and knows how to maintain it. • All Employees are smoke free and undergo initial and ongoing random drug testing. • We are there when we say we will be. • We meet state requirements for insurance minimums. • We provide for family members and caregivers to ride with the patient at no additional charge. 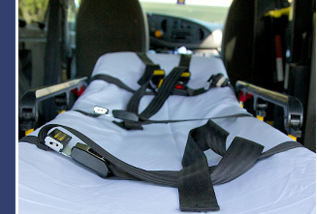 • We offer wheelchair vans which accommodate the needs of every client, whether the client is ambulatory, in a wheelchair, or requires stretcher.